The new update for Pokemon Go rethinks the game's Gyms. Today, the Pokémon Company and Niantic officially announced new features coming to Pokémon Go in the near future. At E3 2017, a team from Niantic took me through the new version of the game and all the features players can expect to roll out today and in the next few weeks. The first new addition offers retooled gyms to the game, rolling out to Pokémon Go clients on iOS and Android today. The Gyms now have spinners just like PokéStops, meaning players can spin them for items including Pokéballs, Potions, and Berries. This is change is one step in Niantic attempting to alleviate the plight of players in more rural areas without a large number of PokéStops. There are additional changes coming in the future, but the Gym spinners are a stopgap solution. Niantic has also drilled down into basic gym mechanics. One major problem came in the form of gyms that were perennially-camped by high-level Pokémon, preventing low-level players from even challenging them. Worse, contenders had to fight the entire gym, starting with the weakest Pokémon first, meaning their team was likely weakened by time they got to the Gym leader. With the new update, gyms now have six permanent slots, meaning players no longer have to level a gym up to fill it to full capacity. Gym levels and Prestige are gone! If you challenge a gym, you now fight the attached Pokémon in the order they were assigned to the gym itself. This means you have the potential to take on a gym's strongest Pokémon in your first battle. As always, there's one Pokémon per Trainer that can be assigned to the gym, but there's another new wrinkle. 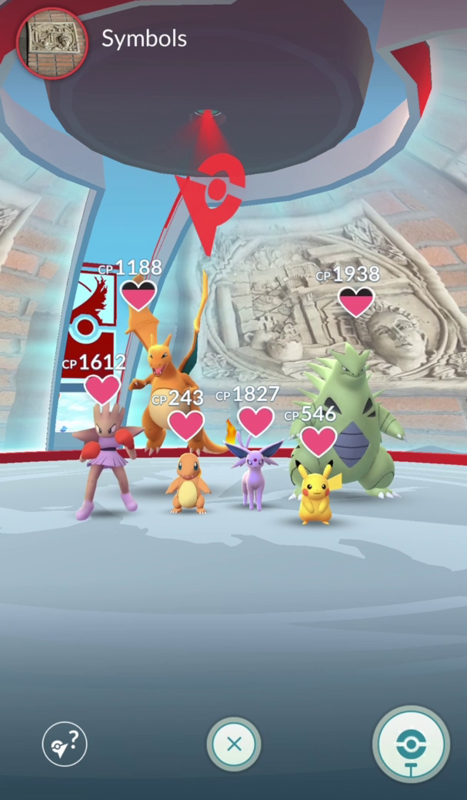 "Another restriction is one species at a gym," explains Niantic senior product manager Tatsuo Nomura. "So you can't have like six Dragonites anymore." Nomura confirmed that you can have separate evolutions though, so a Dragonite and Dragonair would work. The second change is aimed squarely at preventing powerful Pokémon from camping a gym. Niantic has added a new motivation system to Pokémon assigned to gyms. A Pokémon's motivation - signified by a heart above the Pokémon's head - will affect their Combat Power (CP), lowering it over time. The loss of motivation is increased the higher a Pokémon's overall CP. "If it's very low-level then the motivation will take a long time to go down," says Niantic global marketing lead Archit Bhargava. "If it's a really powerful Pokémon, then the motivation will go down quicker. It's more high-maintenance." Trainers of the same team can boost the motivation of assigned Pokémon by feeding them Berries. (You gain Stardust by feeding Pokémon assigned to a gym.) If motivation drops to zero, a Pokémon will return to its owner. The idea is that strong Pokémon will get weaker if their owners or fellow team members don't periodically return to the gym in question. No longer can you "fire and forget", taking control of a large number of gyms without checking in on them. Finally, Trainers will also receive Gym Badges for controlling a gym. Each gym has its own specific badge. These badges will level up over time, offering better rewards and additional items. "You give treats to Pokémon, you do battles, and the badge will slowly level up," says Nomura. "It has tiers, from bronze, to silver, to gold. As it levels up, you'll get more benefits from visiting the gym. This will add some collection value too: go to different places, earn different badges." The second addition isn't live today, with a planned rollout in the coming weeks. 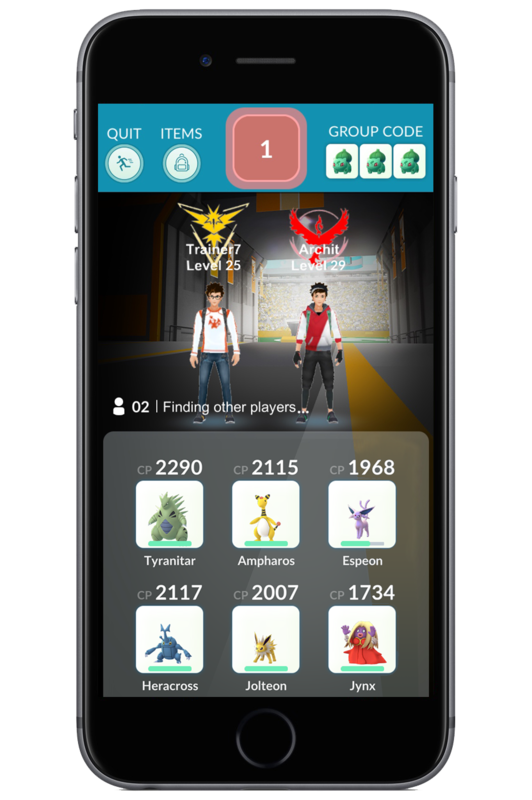 Raid Battles add a cooperative experience to a gym, letting multiple players team up to take down enhanced Pokémon with a super-high CP. Imagine a Charizard at 30,000 CP and you'll have the right idea. Raid-level Pokémon will be the appropriate types, so you'll probably not fight a Raid Magikarp. "We're super-proud of the social atmosphere that Pokémon Go spawned last summer," says Niantic director of software engineering Edward Wu. "We had people coming out in droves with their friends and family. But we didn't have any explicit social mechanics. We didn't have anything in the game where you could actually work together towards a common goal. Raids are our way of bringing that co-op social experience to people in a way that presents the highest level content in the game, which really makes it deserving of working together." These Raid Boss Pokémon will temporarily take over a gym and Trainers from all teams can travel to the occupied gym to team up and fight. 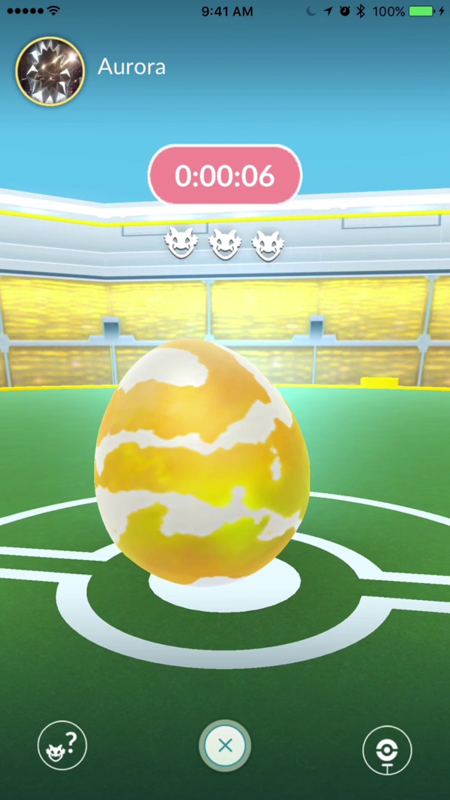 You'll know a Raid Boss is coming when a giant egg spawns on top of a gym with an attached timer. The egg will have between one and four Raid Boss icons, letting you know how tough the fight is going to be. 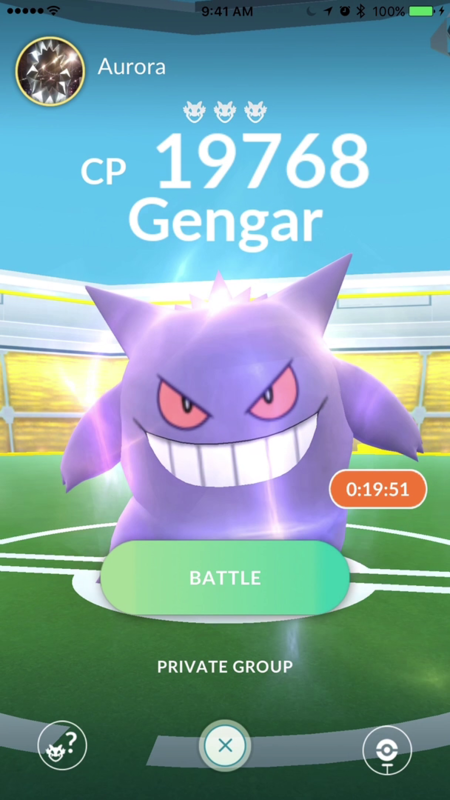 Once the timer finishes its countdown, the Raid Boss hatches and remains up for a random period of time. 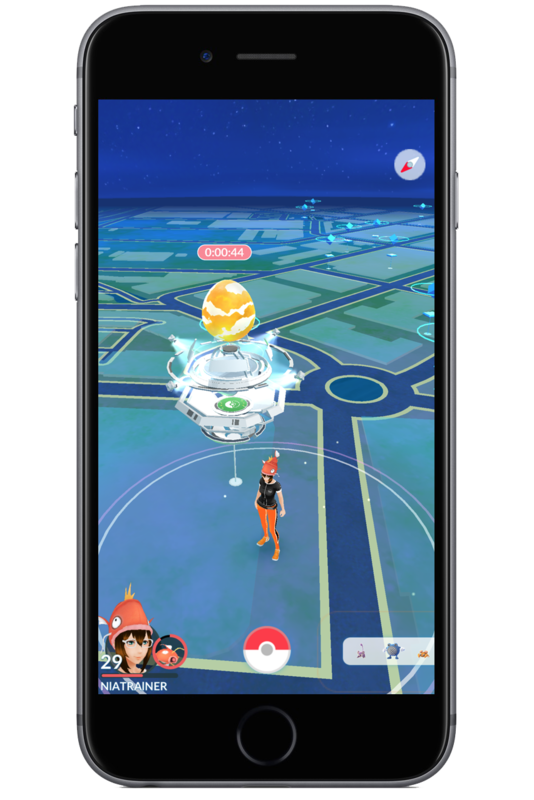 Players can spend the new Raid Pass item to tackle the fight; you'll gain one Raid Pass every day by activating a spinner at a Gym. There will also be opportunities to earn more. 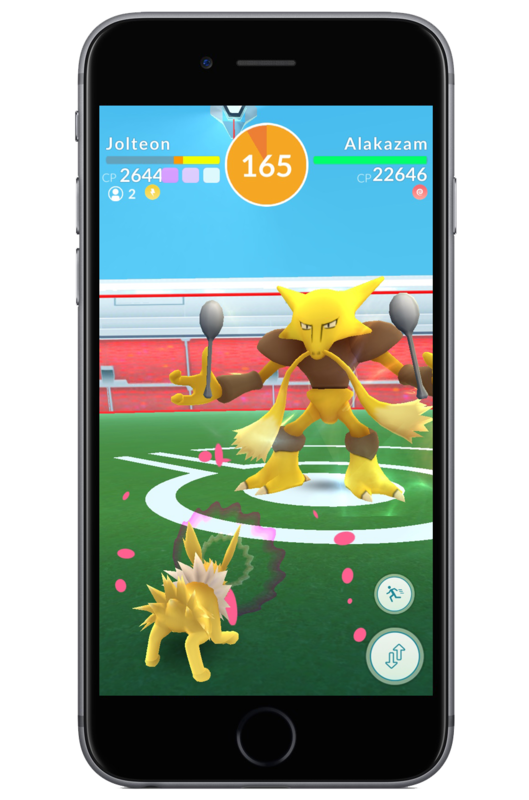 Winning the raid offers players new items like Golden Razzberries and Rare Candies, in addition to a limited number of chances to catch the Raid Boss (albeit at a CP level tailored for single play). 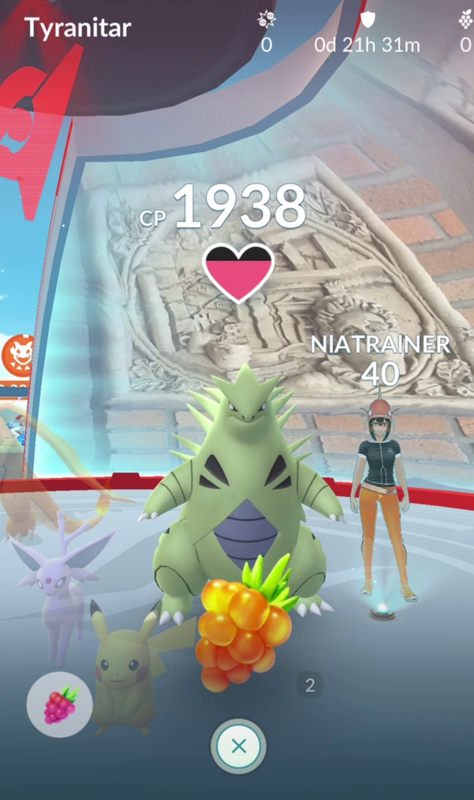 The team that owns the gym prior to a Raid Boss spawning will get slightly more reward from a win. If you'd rather not fight with random strangers, there's also a new Private Raid feature, letting you set up a simple Pokémon-based code that you can give to friends. That way you can fight together and share the spoils among friends and family only. There will also be a higher level of Raids for players who spend their time tackling these tougher encounters. "We'll be sending out invitations to exclusive raids. Exclusive raids are our way of making sure that the Trainers who have really made sure to prepare can battle and have a chance to capture the most powerful and rare Pokémon in the game, up to Legendaries," hints Wu. The First Appearance of Technical Machines in Pokémon Go! During my demo, Technical Machines (TMs) popped up briefly as a reward, but Niantic's team was cagey about what the new items would add to the game at the time. Further information has come to light, revealing that the TMs can teach a Fast Attack or Charged Attack to your Pokémon at random. Fast or Charged TMs will be available as Raid Boss rewards. The Pokémon Company and Niantic previously announced a series of live events aimed at building the community. The first of those events will be Pokémon Go Fest in Chicago's Grant Park on July 22. Tickets for the festival will be on sale today at 10am PT. Interested fans can pick up the tickets at the official site. Tagged with Android Devices,	iPhones,	News,	Niantic,	The Pokemon Company.